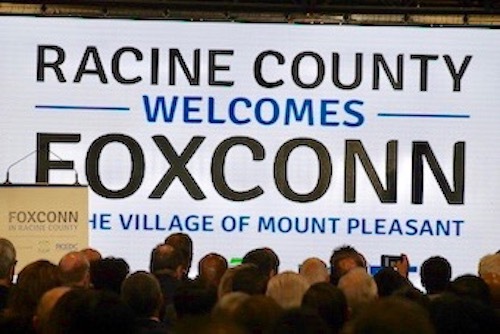 Representatives from Foxconn and Racine County agencies held a special event Wednesday at Gateway's iMet Center in Sturtevant. The company detailed its plan to build its first American manufacturing facility in Mount Pleasant. Full audio of the announcment is below. Foxconn Announcment: October 4th, 2017.